Primus inter pares is a Latin phrase meaning first among equals. It is typically used as an honorary title for someone who is formally equal to other members of their group but is accorded unofficial respect, traditionally owing to their seniority in office. Historically, the princeps senatus of the Roman Senate was such a figure and initially bore only the distinction that he was allowed to speak first during debate. Also, Constantine the Great was given the role of primus inter pares. However, the term is also often used ironically or self-deprecatingly by leaders with much higher status as a form of respect, camaraderie, or propaganda. After the fall of the Republic, Roman emperors initially referred to themselves only as princeps despite having power of life and death over their "fellow citizens". Various modern figures such as the Chair of the Federal Reserve, the prime minister of parliamentary countries, the Federal President of Switzerland, the Chief Justice of the United States, the Chief Justice of the Philippines, the Archbishop of Canterbury of the Anglican Communion and the Ecumenical Patriarch of the Eastern Orthodox Church fall under both senses: bearing higher status and various additional powers while remaining still merely equal to their peers in important senses. Born Dimitrios Arhondonis (Greek : Δημήτριος Αρχοντώνης, Dimítrios Archontónis), in the village of Agios Theodoros (Zeytinli Köyü) on the island of Imbros (later renamed Gökçeada by Turkey), after his graduation he held a position at the Patriarchal Theological Seminary of Halki, where he was ordained a priest. Later, he served as Metropolitan of Philadelphia and Chalcedon and he became a member of the Holy Synod as well as other committees, prior to his enthronement as Ecumenical Patriarch. Imbros or İmroz, officially changed to Gökçeada since 29 July 1970,, is the largest island of Turkey and the seat of Gökçeada District of Çanakkale Province. It is located in the Aegean Sea, at the entrance of Saros Bay and is also the westernmost point of Turkey. Imbros has an area of 279 km2 (108 sq mi) and contains some wooded areas. In several of the autocephalous Eastern Orthodox churches and Eastern Catholic Churches, the patriarch or head bishop is elected by a group of bishops called the Holy Synod. For instance, the Holy Synod is a ruling body of the Georgian Orthodox Church. The term Old Catholic Church was used from the 1850s by groups which had separated from the Roman Catholic Church over certain doctrines, primarily concerned with papal authority; some of these groups, especially in the Netherlands, had already existed long before the term. These churches are not in full communion with the Roman Catholic Church. Member churches of the Union of Utrecht of the Old Catholic Churches (UU) are in full communion with the Anglican Communion, and some are members of the World Council of Churches. Ecology is the branch of biology which studies the interactions among organisms and their environment. Objects of study include interactions of organisms that include biotic and abiotic components of their environment. Topics of interest include the biodiversity, distribution, biomass, and populations of organisms, as well as cooperation and competition within and between species. Ecosystems are dynamically interacting systems of organisms, the communities they make up, and the non-living components of their environment. Ecosystem processes, such as primary production, pedogenesis, nutrient cycling, and niche construction, regulate the flux of energy and matter through an environment. These processes are sustained by organisms with specific life history traits. Biodiversity means the varieties of species, genes, and ecosystems, enhances certain ecosystem services. Environmental protection is the practice of protecting the natural environment by individuals, organizations and governments. Its objectives are to conserve natural resources and the existing natural environment and, where possible, to repair damage and reverse trends. Bartholomew I was born in the village of Zeytinli (Greek : Άγιος Θεόδωρος, Agios Theodoros) in the island of Imbros (Greek : Ίμβρος, Imvros), son of Christos and Merope Archontónis. His secular birth name is Dimitrios Arhondonis (Δημήτριος Αρχοντώνης, Dimítrios Archontónis). He is a Turkish citizen, but he belongs (ethnically) to the historically indigenous Rum – descendants of Eastern Roman Empire/Byzantine Empire Greek community in Turkey, which today is diminished and reduced due to the Greek genocide, the subsequent population exchange of 1923 between Greece and Turkey and ultimately through the exodus of Greeks post the 1960s Cyprus conflicts. The Byzantine Empire, also referred to as the Eastern Roman Empire or Byzantium, was the continuation of the Roman Empire in its eastern provinces during Late Antiquity and the Middle Ages, when its capital city was Constantinople. It survived the fragmentation and fall of the Western Roman Empire in the 5th century AD and continued to exist for an additional thousand years until it fell to the Ottoman Turks in 1453. During most of its existence, the empire was the most powerful economic, cultural, and military force in Europe. Both the terms "Byzantine Empire" and "Eastern Roman Empire" are historiographical terms created after the end of the realm; its citizens continued to refer to their empire simply as the Roman Empire, or Romania (Ῥωμανία), and to themselves as "Romans". The Greeks in Turkey constitute a population of Greek and Greek-speaking Eastern Orthodox Christians who mostly live in Istanbul, as well as on the two islands of the western entrance to the Dardanelles: Imbros and Tenedos. Dimitrios Archontonis attended elementary school in his native Imvros and continued his secondary education in the famous Zographeion Lyceum in Istanbul. Soon afterwards, he studied Theology as an undergraduate at the Patriarchal Theological school or Halki seminary, from which he graduated with highest honours in 1961, and was immediately ordained deacon, receiving the name Bartholomew. Bartholomew fulfilled his military service in the Turkish army as a non regular officer between 1961 and 1963. From 1963 to 1968, Bartholomew pursued his postgraduate studies at the Pontifical Oriental Institute in Rome, the Ecumenical Institute of Bossey in Switzerland and the Ludwig Maximilians University of Munich in Germany. His doctoral research was on the Canon Law. The same year he became a lecturer in the Pontifical Gregorian University in Rome. Istanbul, formerly known as Byzantium and Constantinople, is the most populous city in Turkey and the country's economic, cultural and historic center. Istanbul is a transcontinental city in Eurasia, straddling the Bosporus strait between the Sea of Marmara and the Black Sea. Its commercial and historical center lies on the European side and about a third of its population lives in suburbs on the Asian side of the Bosporus. With a total population of around 15 million residents in its metropolitan area, Istanbul is one of the world's most populous cities, ranking as the world's fourth largest city proper and the largest European city. The city is the administrative center of the Istanbul Metropolitan Municipality. Istanbul is viewed as a bridge between the East and West. The Halki seminary, formally the Theological School of Halki, was founded on 1 October 1844 on the island of Halki, the second-largest of the Princes' Islands in the Sea of Marmara. It was the main school of theology of the Eastern Orthodox Church's Ecumenical Patriarchate of Constantinople until the Turkish parliament enacted a law banning private higher education institutions in 1971. The theological school is located at the top of the island's Hill of Hope, on the site of the Byzantine-era Monastery of the Holy Trinity. The premises of the school continue to be maintained by the monastery and are used to host conferences. It is possible to visit the island where it is located via boat in approximately one hour from the shore of Istanbul. An international campaign to reopen this theological school is ongoing, as noted by American Senator Ben Cardin of Maryland in the United States Congress during the 2nd Session of Proceedings and Debates of the 111th Congress. After returning to Istanbul in 1968, he took a position at the Patriarchal Theological Seminary of Halki, where he was ordained a priest in 1969, by Ecumenical Patriarch Athenagoras I. When Demetrius I became Ecumenical Patriarch in 1972 and established the Patriarchal Office, he selected Bartholomew as its director. On Christmas of 1973, Bartholomew became Metropolitan of Philadelphia, and was renamed as director of the patriarchal office until his enthronement as Metropolitan of Chalcedon in 1990. From March 1974 until his enthronement as Ecumenical Patriarch, he was a member of the Holy Synod as well as of many Synodical Committees. Chalcedon was an ancient maritime town of Bithynia, in Asia Minor. It was located almost directly opposite Byzantium, south of Scutari and it is now a district of the city of Istanbul named Kadıköy. The name Chalcedon is a variant of Calchedon, found on all the coins of the town as well as in manuscripts of Herodotus's Histories, Xenophon's Hellenica, Arrian's Anabasis, and other works. Except for a tower, almost no above-ground vestiges of the ancient city survive in Kadıköy today; artifacts uncovered at Altıyol and other excavation sites are on display at the Istanbul Archaeological Museum. He speaks Modern Greek, Turkish, Italian, German, French and English; he is also fluent in classical Greek and Latin. United States President Barack Obama meets with Bartholomew I.
Pope Francis and Patriarch Bartholomew in the Church of the Holy Sepulchre in Jerusalem. He has also gained a reputation as a prominent environmentalist, putting the support of the Patriarchate behind various international environmental causes. This has earned him the nicknames of "the Green Patriarch" and "the Green Pope",     and in 2002 he was honored with the Sophie Prize. He has also been honoured with the Congressional Gold Medal, the highest award which may be bestowed by the Legislative Branch of the United States government. Bartholomew I, after his attempts to celebrate the liturgy in remote areas of Turkey, thereby renewing the Orthodox presence, which was absent since before 1924, has now come under intense pressure from Turkish nationalist elements. The patriarchal Seminary of Halki in the Princes' Islands remains closed since 1971 on government orders. He has been awarded honorary doctorates by a number of universities and educational institutions around the world, among them: National and Kapodistrian University of Athens, Aristotle University of Thessaloniki, University of Patras, TEI of Kavala, Democritus University of Thrace, University of Crete, University of Ioannina, University of the Aegean, University of Western Macedonia and University of Thessaly in Greece, Moscow State University in Russia, University of Bucharest and University of Iaşi in Romania, City University of London, Exeter University and University of Edinburgh in the United Kingdom, Katholieke Universiteit Leuven in Belgium, St. Sergius Orthodox Theological Institute and Université de Provence Aix-Marseille I in France, Izmir University of Economics in Turkey, Hankuk University of Foreign Studies in South Korea, Flinders University in Australia, Adamson University in the Philippines, St. Andrew's College and Sherbrooke University in Canada, Holy Cross Greek Orthodox School of Theology, Georgetown University, Tufts University, Southern Methodist University, Yale University, Saint Vladimir's Orthodox Theological Seminary in the United States. On December 3, 2013, he received the Global Thinkers Forum 2013 Award for Excellence in Peace and Collaboration. In April 2008, he was included on the Time 100 most influential people in the world list. In 1999 he was awarded the Grand Cross of the Order of the Star of Romania; in 2004, by Federal President Thomas Klestil, the Great Golden Medal with Ribbon for Services to the Republic of Austria and on 13 March 2007, the third anniversary of the death of Cardinal Franz König, Bartholomew was awarded in Vienna's St. Stephen the "Cardinal König Prize" Foundation "Communio et Progressio". The highest-ranking bishops in Eastern Orthodoxy, Oriental Orthodoxy, the Catholic Church, and the Church of the East are termed patriarchs. 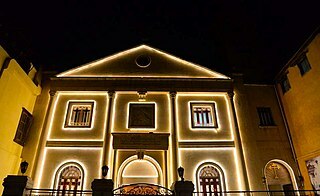 The Syriac Orthodox Church of Antioch, or Syriac Orthodox Patriarchate of Antioch and All the East, is an Oriental Orthodox Church with autocephalous patriarchate established by Severus of Antioch in Antioch in 518, tracing its founding to Antioch by Saint Peter and Saint Paul in the 1st century, according to its tradition. The Church uses the Divine Liturgy of Saint James, associated with St. James, the "brother" of Jesus and patriarch among the Jewish Christians at Jerusalem. Syriac is the official and liturgical language of the Church based on Syriac Christianity. The primate of the church is the Syriac Orthodox Patriarch of Antioch currently Ignatius Aphrem II since 2014, seated in Cathedral of Saint George, Bab Tuma, Damascus, Syria. Fener is a quarter midway up the Golden Horn within the district of Fatih in Istanbul, Turkey. The streets in the area are full of historic wooden mansions, churches, and synagogues dating from the Byzantine and Ottoman eras. The wooden mansions between the main axis and the shore were often used for importing wood from Pontus or the Black Sea area. Their picturesque facades were largely destroyed due to street widening requirements in the 1930s and later.The area's name is a Turkish transliteration of the original Greek φανάριον It was so called for a column topped with a lantern which stood there in the Byzantine period – used as a public light or marine and/or other purpose locator/beacon. 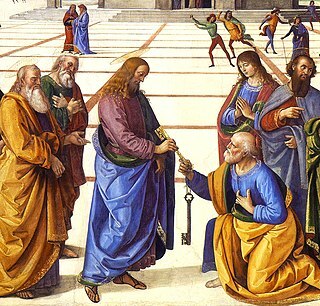 The East–West Schism, also called the Great Schism and the Schism of 1054, was the break of communion between what are now the Catholic Church and Eastern Orthodox churches, which had lasted until the 11th century. The Schism was the culmination of theological and political differences between the Christian East and West which had developed over the preceding centuries. The Autocephalous Turkish Orthodox Patriarchate, also referred to as the Turkish Orthodox Church, is an unrecognised Orthodox Christian denomination, with strong influences from Turkish nationalist ideology. Demetrios I also Dimitrios I or Demetrius I, born Demetrios Papadopoulos was the Ecumenical Patriarch of Constantinople from July 16, 1973, to October 2, 1991. He was the 269th successor to St. Andrew, and was the spiritual leader of more than 250 million Eastern Orthodox Christians. Before his election as Patriarch he served as Metropolitan Bishop of Imvros. He was born and died in Istanbul, Turkey. The Church of St. George is the principal Greek Orthodox cathedral still in use in Istanbul, the largest city in Turkey and, as Constantinople, capital of the Byzantine Empire until 1453. Holy See–Turkey relations are foreign relations between the Holy See and Turkey. Both countries established diplomatic relations in 1868, originally between the Holy See and Ottoman Empire. The Holy See has a nunciature in Ankara. Turkey has an embassy in Rome. Eastern Orthodox Christianity is today the religion of only a minority in Turkey. It was once the dominant religion, during the time of the Byzantine Empire, as the region that comprises Turkey today was a central part of the Byzantine heritage. Today, less than one tenth of one percent of the population are Orthodox Christians. The provinces of Istanbul and Hatay, which includes Antakya, are the main centers of Christianity in Turkey, with comparatively dense Christian populations, though they are minorities in these areas. 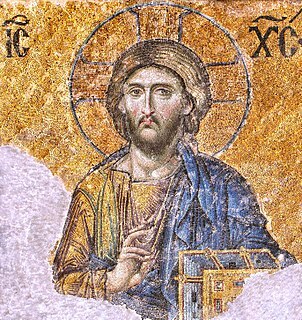 The traditional variant of Orthodox Christianity present in Turkey is the Eastern Orthodox branch, focused mainly in the Greek Orthodox Church. Papa Eftim I, was the first Turkish Orthodox Patriarch of the Autocephalous Turkish Orthodox Patriarchate, an unrecognised Orthodox Christian denomination, that he founded. Eftim I had strong influences from Turkish nationalist ideology. He ruled as Patriarch from 1923 until 1962, when he resigned due to ill health. Keeping the title of honorary patriarch, he ordained his younger son as patriarch assuming the name Papa Eftim II. This is a timeline of the presence of Orthodoxy in Greece. The history of Greece traditionally encompasses the study of the Greek people, the areas they ruled historically, as well as the territory now composing the modern state of Greece. Athenagoras I, born Aristocles Matthew Spyrou, initially the Greek archbishop in North America, was the 268th Ecumenical Patriarch of Constantinople, from 1948 to 1972. On 15 October 2018, the Russian Orthodox Church broke the communion with the Ecumenical Patriarchate because of a dispute concerning the canonical jurisdiction over Ukraine. This led to the 2018 Moscow–Constantinople schism. Numerous Orthodox churches took position concerning the dispute over the canonical jurisdiction over Ukraine, whether before or after this schism. ↑ Thomas E. Fitzgerald (1998). The Orthodox Church. Greenwood Publishing Group. p. 117. ISBN 978-0-275-96438-2. THE VISIT OF THE ECUMENICAL PATRIARCH Ecumenical Patriarch Dimitrios I of Constantinople, together with a delegation that included five Metropolitans made an unprecedented visit to the United States 2–29 July 1990. Among the delegation was the present Patriarch, Patriarch Bartholomew, who succeeded Patriarch Dimitrios in 1991. Although other Orthodox Patriarchs had visited this country in the past, this was the first visit of the Ecumenical Patriarch. His visit had a special significance because he is viewed as the first bishop of the Orthodox Church. As such, the Ecumenical Patriarch is frequently looked upon as the spiritual leader of the 300 million Orthodox Christians throughout the world. ↑ Eastern Churches Journal: A Journal of Eastern Christendom. Society of Saint John Chrysostom. 2004. p. 181. His All Holiness Ecumenical Patriarch Bartholomew is the 270th successor to the Apostle Andrew and spiritual leader of 300 million Orthodox Christians worldwide. ↑ Dona J. Stewart (2013). The Middle East Today: Political, Geographical and Cultural Perspectives. Routledge. p. 71. ISBN 978-0-415-78243-2. Bartholomew I, the Ecumenical Patriarch of Constantinople, spiritual leader of 300 million Orthodox Christians worldwide. ↑ W. El-Ansary; D. Linnan (26 November 2010). Muslim and Christian Understanding: Theory and Application of "A Common Word". Springer. p. 82. ISBN 978-0-230-11440-1. Ecumenical Patriarch Bartholomew is the 270th Archbishop to the 2,000-year-old Church of Constantinople (Istanbul), "first among equals" of Orthodox bishops worldwide, and spiritual leader to 300 million faithful. ↑ Jewish Political Studies Review. Jerusalem Center for Public Affairs. 2001. p. 8. Bartholomew I, the Ecumenical Patriarch of Constantinople, the spiritual leader of an estimated 300 million Orthodox Christians around the ..
↑ Kathleen Dean Moore; Michael P. Nelson (15 April 2011). 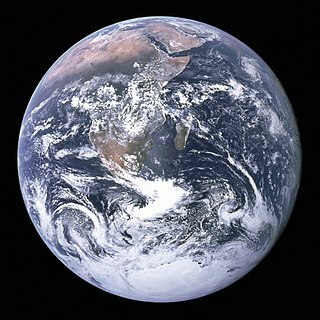 Moral Ground: Ethical Action for a Planet in Peril. Trinity University Press. p. 133. ISBN 978-1-59534-105-1. 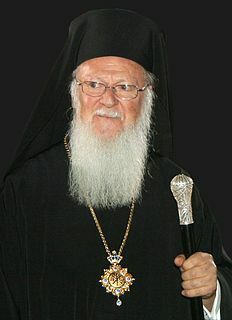 Bartholomew I, the Ecumenical Patriarch of Constantinople, spiritual leader of 300 million Orthodox Christians worldwide. ↑ Katherine Marshall; Lucy Keough (2005). Finding Global Balance: Common Ground Between the Worlds of Development and Faith. World Bank Publications. p. 119. ISBN 978-0-8213-6247-1. Bartholomew I, the Ecumenical Patriarch of Constantinople, spiritual leader of 300 million Orthodox Christians worldwide. ↑ Libby Bassett; United Nations Environment Programme (2000). Earth and Faith: A Book of Reflection for Action. UNEP/Earthprint. p. 16. ISBN 978-92-807-1915-4. Bartholomew I, the Ecumenical Patriarch of Constantinople, spiritual leader of 300 million Orthodox Christians worldwide. ↑ Fairchild, Mary. "Christianity:Basics:Eastern Orthodox Church Denomination". about.com. Retrieved 22 May 2014. ↑ "The Patriarch Bartholomew". 60 Minutes . CBS. 20 December 2009. Retrieved 11 January 2010. ↑ "Biography – The Ecumenical Patriarchate". Patriarchate.org. Retrieved 2017-02-25. ↑ "Who is the Ecumenical Patriarch? – Apostolic Pilgrimage of Pope Francis and Ecumenical Patriarch Bartholomew to Jerusalem". Apostolicpilgrimage.org. Retrieved 2017-02-25. ↑ MARLISE SIMONS (2012-12-03). "Bartholomew I of Constantinople's Bold Green Stance – The New York Times". Nytimes.com. Retrieved 2017-02-25. ↑ "The Green Patriarch – Apostolic Pilgrimage of Pope Francis and Ecumenical Patriarch Bartholomew to Jerusalem". Apostolicpilgrimage.org. Retrieved 2017-02-25. ↑ "Elijah Interfaith – Sharing Wisdom Fostering Peace". Elijah-interfaith.org. Retrieved 2017-02-25. 1 2 Kaya, Bayram (10 May 2013). "One arrested as plot to assassinate Patriarch Bartholomew uncovered". Zaman. Archived from the original on 10 May 2013. Retrieved 10 May 2013. ↑ "The Green Patriarch | Ecumenical Patriarchate of Constantinople". Patriarchate.org. 29 August 2013. Archived from the original on 3 September 2013. Retrieved 3 September 2013. ↑ "Derin devlet açtırmıyor" (in Turkish). Retrieved 2007-05-24. ↑ "Orthodox Ecumenical Patriarch hoping that North Korea will give up its nuclear weapons and to bring true peace". Yonhap News Agency. Retrieved 8 December 2018. ↑ Lionberger, Erik (2018-12-10). "His All Holiness Ecumenical Patriarch Bartholomew visits the DMZ". 한국정교회 대교구(Orthodox Metropolis of Korea). Retrieved 2019-01-25. ↑ "Russian Orthodox Church recognizes Patriarch Bartholomew as schismatic". TASS Russian News Agency. 20 October 2018. ↑ "Patriarch Bartholomew signs Tomos of autocephaly of Orthodox Church of Ukraine". risu.org.ua. 5 January 2019. Retrieved 2019-01-05. ↑ "News from the Royal House of Georgia / Private audience with His Most Divine All Holiness Bartholomew I". The Royal House of Georgia. Retrieved 2017-02-25. ↑ "President presented a high state award to Ecumenical Patriarch Bartholomew". Official website of the President of Ukraine. 5 January 2019. Retrieved 2019-01-05. ↑ "Arcibiskup Bartolomej I. navštívil Bratislavu – Fotogaléria". Webnoviny.sk. Retrieved 3 September 2013. ↑ "THE PATRIARCH OF CONSTANTINOPLE DECORATED BY THE HEAD OF THE ROYAL HOUSE OF GEORGIA". Royal House of Georgia. Archived from the original on 2013-11-06. Retrieved 2011-10-29. ↑ "Ecumenical Patriarch Receives Honorary Degree". Fordham.edu. 28 October 2003. Retrieved 3 September 2013. ↑ "Вселенскому патриарху Варфоломею присвоено звание почетного доктора Национального университета "Киево-Могилянская академия"". Интерфакс-Украина (in Russian). 26 January 2019. Retrieved 2019-01-26. ↑ "Bartholomew receives honorary doctorate of Kyiv-Mohyla Academy". 112.international. 28 January 2019. Retrieved 2019-01-29. ↑ "Congressional Gold Medal Ceremony | Ecumenical Patriarchate of Constantinople". Patriarchate.org. Archived from the original on 27 September 2013. Retrieved 3 September 2013. ↑ "Prize Winners » 2002". The Sophie Prize. 12 June 2002. Archived from the original on 7 December 2009. Retrieved 3 September 2013. Wikimedia Commons has media related to Bartholomew I of Constantinople . A Patriarch in Dire Straits by John Couretas, director of communications at the Acton Institute and executive director of the American Orthodox Institute. End of Byzantium interview by Helena Drysdale from Aeon Magazine. ↑ The ROC cut ties with the Ecumenical Patriarchate in 2018. 1 2 3 4 5 6 7 8 Autocephaly or autonomy is not universally recognized. 1 2 Semi-autonomous part of the Russian Orthodox Church whose autonomy is not universally recognized.